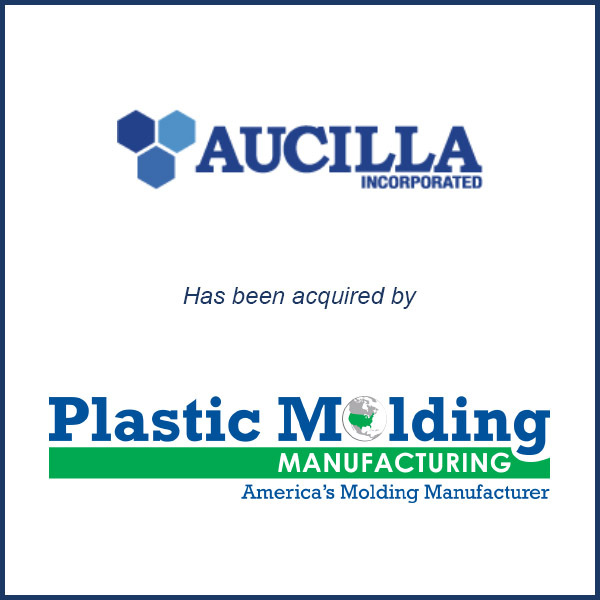 Hudson, MA – January 2016 – Plastic Molding Manufacturing Inc. is adding a Midwest site to its portfolio, purchasing Aucilla Inc., an injection molder in South Bend, Ind. Aucilla serves the medical, industrial and electronics industries, operating 24 hours a day, seven a week. The company is ISO 9001:2008 certified and has 22 injection molding presses ranging from 38 to 200 tons. It was founded in 1977. “Our goal in acquiring other companies is to increase our support and capabilities for our customers across the country, so in return they will bring their manufacturing business back to the U.S.,” said George Danis, CEO of Plastic Molding Manufacturing, in a news release. PMM is headquartered in Hudson, Mass., and also has operations also in Berlin, Conn., and Lancaster, Pa. It now has 106 injection molding machines ranging from 24 to 500 tons, five two-shot machines and an ISO Class 8 certified clean room. Plastic Molding Manufacturing is a name that Danis used when he started the company in 1968. Later, the individual sites went by the names ResTech Corp., Northeast Mold and Plastics and True Precision Plastics. They were all renamed PMM at the start of 2015. Molding Business Services served as Aucilla’s advisor for the transaction. The above was taken from a January 2016 article in Plastics News.